My cottages are due to feature in Britain’s Empty Homes Revisited on BBC television this week (Monday 18 February on BBC 1 at 11.45am, repeated on BBC 2 at 7.50am the next day). This is a follow-up to last year’s programme. The camera crew came a few weeks ago to film the very recently conserved pargeting and their visit coincided with a tour of the cottages and town that I was hosting for post-graduate students from the University of Cambridge. Amongst the other buildings we saw was 1 Myddlyton Place (the old Youth Hostel), where we stopped for tea and heard about the renovation work not long completed by the Chapman family. Also grade I-listed, this is another property, like mine, that was once in the custodianship of the SPAB (www.onemyddlytonplace.co.uk). 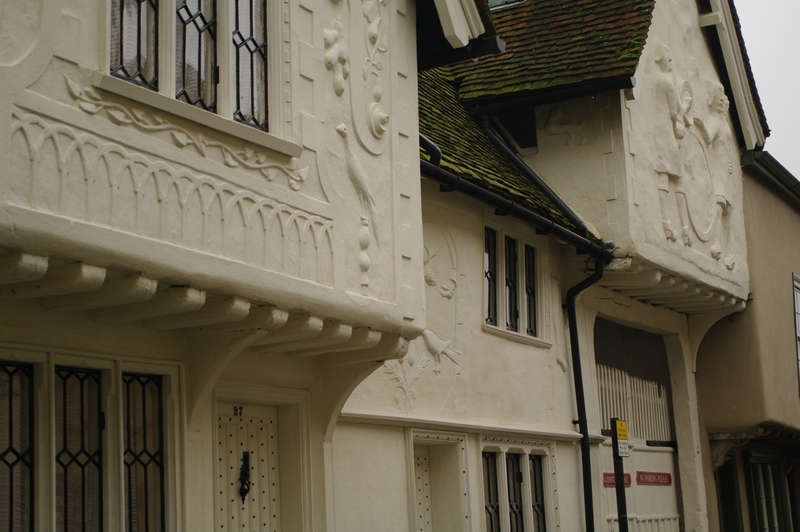 The conservation of the pargeting on my cottages has been my most pressing task. Areas of the parge-work – which is of exceptional interest and highly unusual – were very weak and it was questionable whether they could all be saved. Huge credit is due to Torquil McNeilage and his team who have undertaken a once-in-a-generation programme of specialist repairs using state-of-the-art techniques. Future blogs will explain about this extensive work – all of which, to date, has been funded without any external grant aid. An abiding memory I have will be seeing the newly conserved pargeting bathed in gentle sunshine after the scaffolding was struck. The project had reached a major milestone and the church bells opposite were ringing as if to celebrate! 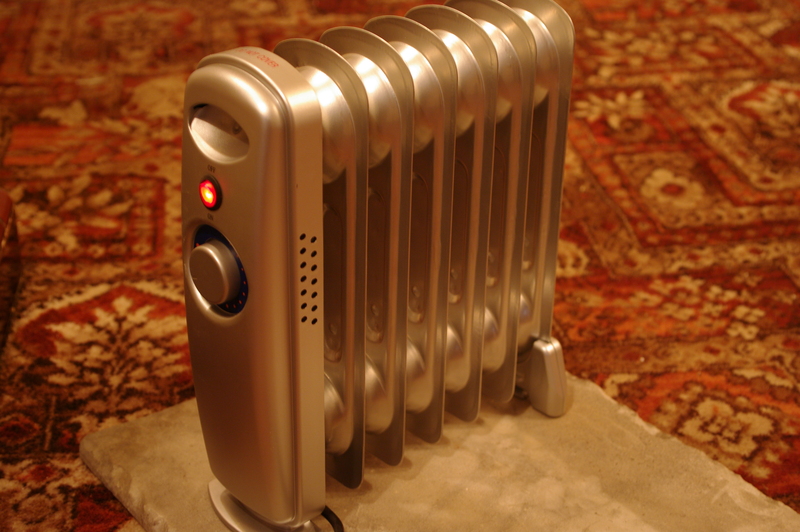 Both my cottages currently lack central heating so last autumn I purchased several oil-filled radiators to temporarily provide some warmth. Given the age of my electrical installation, I took the precaution of connecting these using plug-in RCD adaptors (www.masterplug.com). 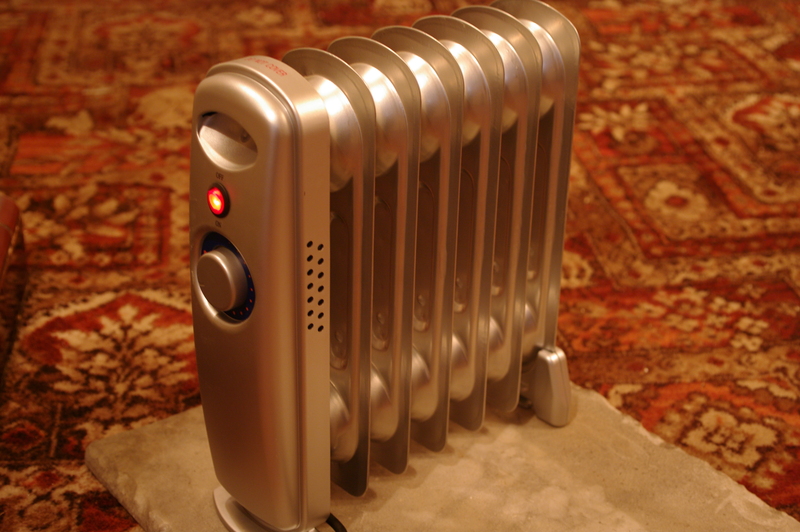 The radiators are controlled by thermostats, which help maintain steady room temperatures. 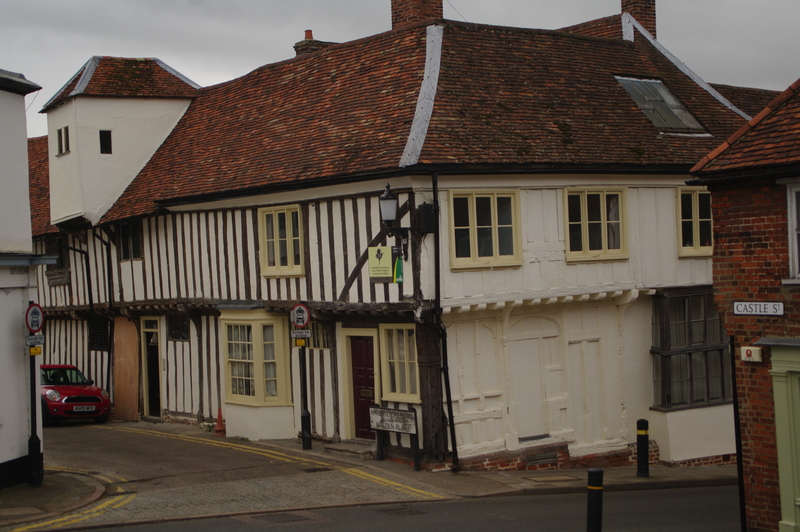 I’m conscious that old timber-framed buildings are similar to fine antique furniture in the sense that sharp variations in relative humidity caused by large temperature fluctuations can distort or crack the wood. In my case, this could also harm some of the fragile internal plasterwork that’s awaiting repair. The data loggers I’m using show that the heating has created a more stable internal environment. The only snag has been that one of the heaters developed a small oil leak. Fortunately, I discovered this before any damage was done to the building fabric and the supplier replaced the faulty unit immediately. The previous day I’d ordered a couple of extra radiators. By chance, they’re oil-free. 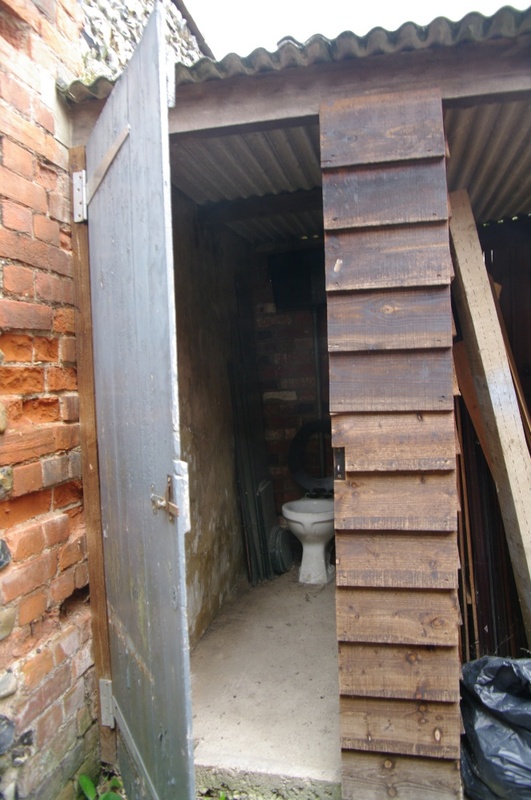 The recent very cold spell severely hampered work on local building sites. A contractor employed on a nearby church where w ork to a flint wall had been adjourned until the spring commented to me how a 1 tonne bag of sand had been transformed into a single, large, frozen cube, joking that you’d need a jackhammer to break into it. At home, the sub-zero temperatures have fractured the second of my outside WC pans, even though I’d drained it of water. My other external WC, the rim of which was damaged last winter, now causes great amusement for my two young nieces. Every time the lavatory is flushed it sends up a fountain of water in the direction of unsuspecting users! 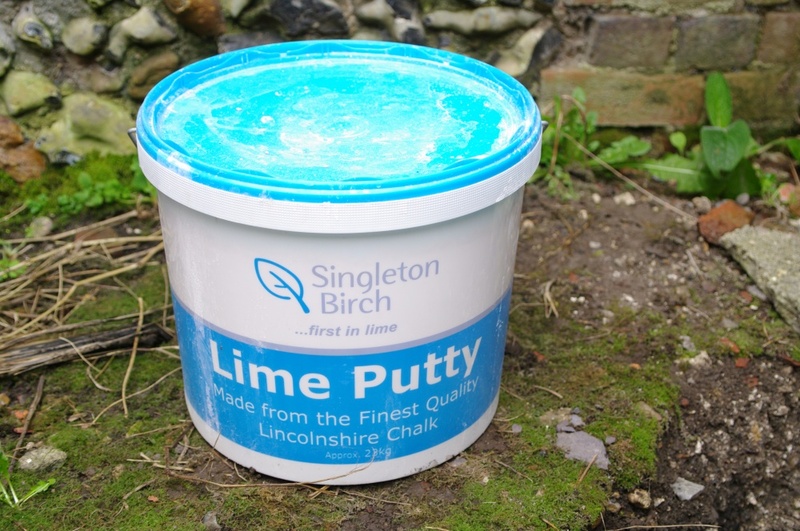 Frosty conditions are said to improve the quality of lime putty in storage, though, of course, it must be allowed to fully thaw before use. I picked up some more the other day when visiting conservation builder Anthony Goode (www.ajgoodeconservation.co.uk) and added this to the other tubs I’ve left maturing in one of the yards. The longer the putty is stored, too, the better it becomes. Lime will be a key ingredient in the work I’m planning.